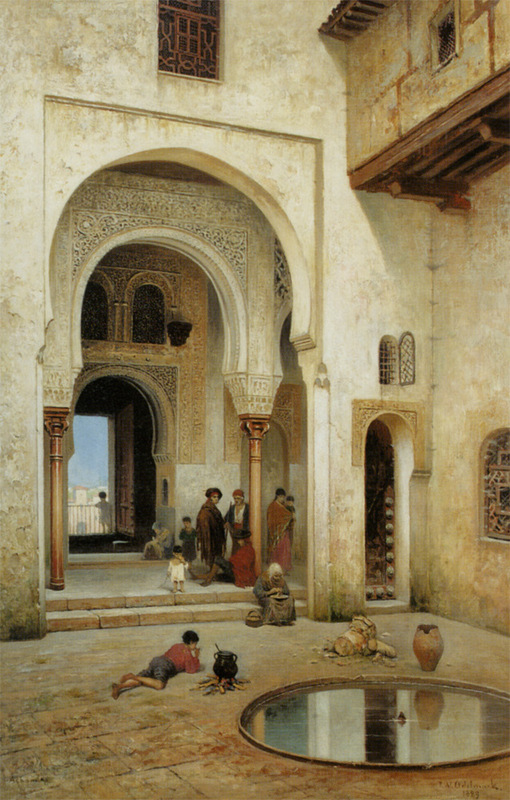 I found this fantastic image of a Courtyard In Alhambra in 1492and loved it so much I used it to describe a scene in The Luna Legacy. Can you pinpoint the scene from the book? Which character is talking to Queen Isabel and what do they discuss? Find out in The Luna Legacy.